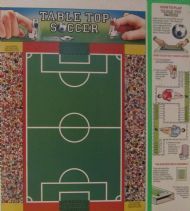 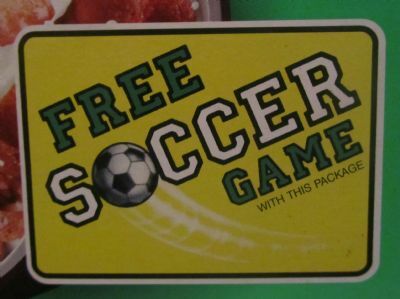 Direct from the good ol' US of A we have Table Top Soccer as given away free on packets of Kelloggs Apple Jacks cereal. 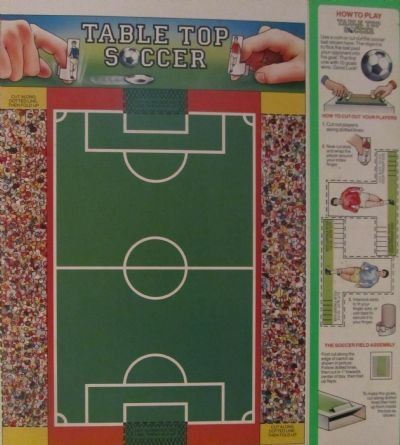 Simple, colourful and bonkers! Cereal packet with printed stadium, 2 players and ball. 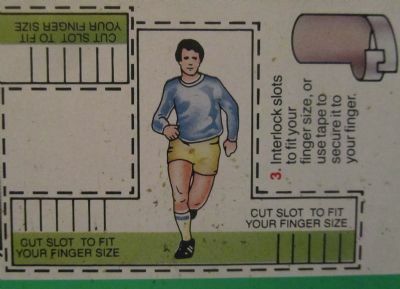 Two cardboard footballers that can be attached to your finger and used to flick the ball. 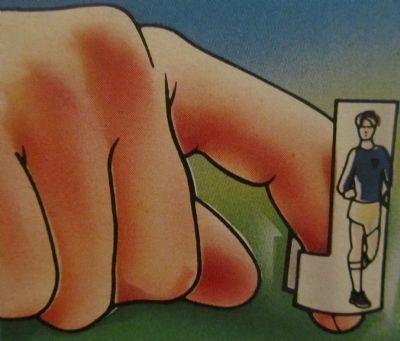 Nice idea, simple printed figure with wrap around base.